We have 125 battery candles that have an amber flame that flickers like the real thing. They can be held in the hand with no heat and no danger. 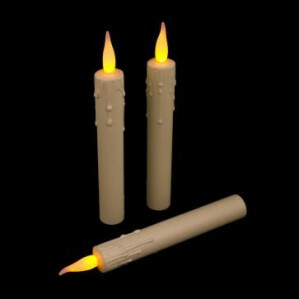 Great for school plays, churches and restaurants where you want the candle effect but can not have real candles.